The Body Farm starring Tara FitzGerald starts on the TV this week. The character, Dr Eve Lockhart, is the usual type of TV pathologist - the sort that solve crimes using medical detective work. 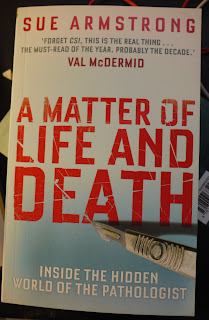 However, there is another Body Farm - a real one run by a man called Bill Bass - that features in Sue Armstrong's book A Matter of Life and Death. Interestingly, his official job title is 'forensic anthropologist', but he does much of the work the TV pathologist tends to do: he is an expert on how human bodies decay, and how this enables scientists to determine cause of death. How he does this is even more fascinating to read about than to see dramatised on television. Sue Armstrong makes the point that there are many other sorts of pathologists. The hospital pathologists, for instance, are the doctors most likely to categorically determine why a patient is unwell. They tend to work behind the scenes. Some, like Sebastian Lucas and Jeffery Taubenberger, are experts on viruses such as AIDS and flu; others, for example Juan Rossi and Christopher Fletcher are experts on various cancers. They each have surprising things to say about what causes illnesses, and how diagnosis is not always straightforward. Some, like James Ironside and Nicholas Wright are on the forefront of scientific research, and I found what they both had to say on stem cells - cells that can change into other cells - particularly interesting. But it was not just fascinating facts that Sue Armstrong extracted in these interviews, but moral and political aspects of their work too. 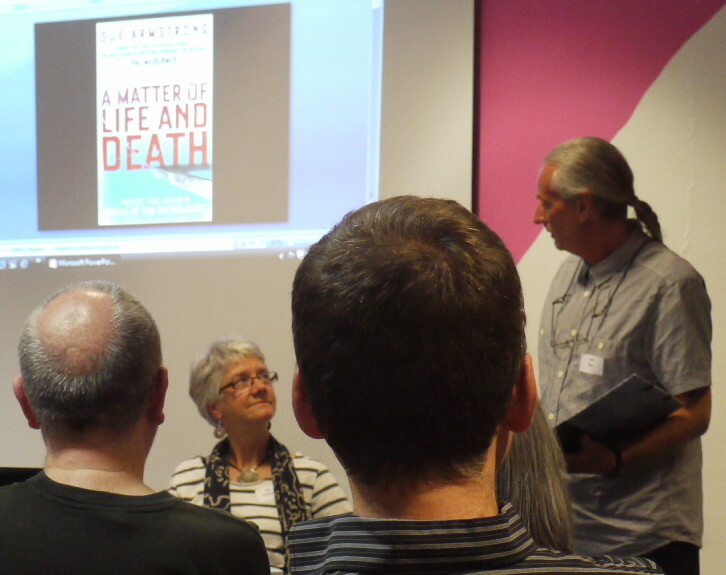 Derrick Pounder and Sue Black, for instance, described how they coped with dealing with the aftermath of Sarajevo and Kosovo; while there were equally moving revelations from Helen Wainwright and Patricia Klepp about working in South Africa. The interviewer also encouraged the doctors to talk about how they dealt with issues such as race - for instance Kumarasen Cooper described finding himself as the first professor 'of colour' leading a team of white consultants. Another issue frequently addressed is motherhood, andin this context Waney Squier's interview is particularly impressive, since she described with great honesty her part in the 'shaken baby' diagnosis, and the effect of a wrong diagnosis on the family concerned and the doctor herself. David Levison described another example of overcoming medical dogma, in this case the role of Helicobacter pylori in stomach ulcers, and also, most interestingly, how he feels when making that 'first cut'. It was this question which I think must be the most testing one for an interviewer: 'how does it feel to be a pathologist? ', and Sue Armstrong succeeded in getting some varied and thought-provoking answers. Irene Scheimberg is always aware that there is a person behind the slide, whereas Francisco Gonzalez-Crussi prefers to cover the head otherwise he feels he risks 'restituting the humaneness lost through death.' I learnt a lot by reading this book. 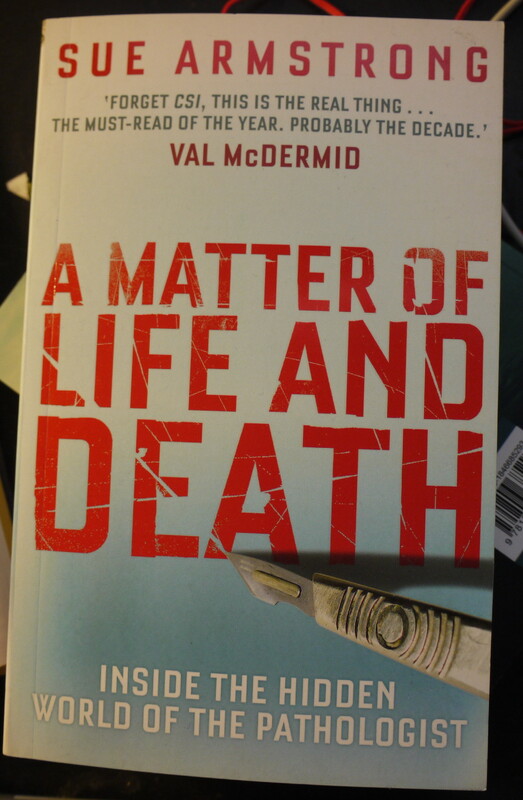 As Val McDermid says, it is a 'must-read'. Sue Armstrong has kindly agreed to answer a few questions about the book (and the usual general matters) below, but first the biography. 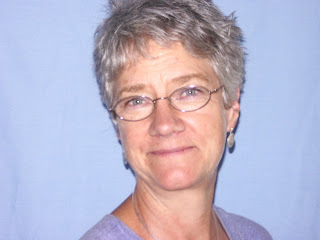 Sue Armstrong is a science writer and broadcaster. As a foreign correspondent based in Brussels and then South Africa from 1983-96, she worked for a variety of media including New Scientist and BBC radio. Since 1981 she has also worked regularly for the World Health Organization and UNAIDS, writing about women's health issues and the AIDS pandemic, often reporting from the frontline. She has worked on a number of oral testimony projects, including one with the Bushmen of southern Africa; and another with Namibian liberation fighter, Andreas Shipanga, which resulted in the book, In search of Freedom. CD: Were there any other pathologists you would have liked to have included and why. SA: I would like to have included interviews with Robin Warren and Barry Marshall, who won the Nobel Prize for medicine for their discovery that the cause of stomach ulcers is not stress and acidity, as was commonly believed right up til the 1980s, but the bacterium Helicobacter pylori. Their breakthrough was reminiscent of the discovery of penicillin, and they had an equally tough time at first trying to convince a sceptical medical establishment. I ran out of time and budget to include them – they live in Australia! CD: Would you say that pathologists have something in common (different from other doctors)? If so, what is it? SA: Typically, pathologists are more interested in understanding diseases and disease processes than in treating actual patients. CD: What was the stand-out surprising fact you found out about pathologists? SA: That these ‘backroom boys and girls’ are the lynchpin of any health service – when you or I get sick, diagnosing what ails us requires the specialist services of a pathologist in the great majority of cases. CD: Did any of the interviews affect you particularly? If so, what? SA: Oh goodness, so many affecting stories! Among them: Sue Black and Derrick Pounder’s heartrending descriptions of trying to identify victims of massacres in the Balkans and Palestine, while their families waited patiently nearby; South African paediatric pathologist Helen Wainwright’s descriptions of the dreadful, lasting effects of alcohol on the babies and children of mothers who drink in pregnancy; Kumarasan Cooper’s personal story of trying to study medicine in apartheid South Africa; Sebastian Lucas’s description of the early days of AIDS in London and Uganda, when so many died and everyone was scared to treat patients with HIV; David Levison’s story about the sudden death of his young wife from a cerebral haemorrhage; and Irene Scheimberg’s of the devastating effects of the Alder Hey controversy on the morale of paediatric pathologists like herself who were demonized by the media. CD: There seem to be many pathologists from Argentina and South Africa as well as from the UK and the US. Is there a reason for this? SA: I wanted to get as wide an overview of pathology practice as my budget would allow, and my interest took me naturally around the UK and USA -- and to South Africa where I lived and worked for more than ten years. It was pure coincidence that a fair number of my interviewees were originally from Latin America (two from Mexico and three from Argentina). CD: There also seemed to be a fairly large proportion of women, and/or come from poor backgrounds. Is this representative of the profession or did you select, and if so why? SA: As one of my interviewees said, pathology is a good specialism for women as the working hours fit more easily with family life than do many other branches of medicine. I selected people with specially interesting and unusual stories to tell of their personal journeys through life, so perhaps it is not surprising that those who have struggled with poverty and disadvantage and achieved a great deal should feature strongly. CD: Have you had any interesting feedback post publication? SA: I have had lots of great feedback. One of the most touching emails came from David Levison’s son who said that reading his father’s words about the sudden death of his young mother had reduced him to tears, and he felt so proud of his dad for how he had handled the tragedy. The boy had been too little to understand then what was going on. A propos the question and answer format, one reader commented that I always seemed to ask exactly the question that had formed in her mind as she read – a comment I found very gratifying. SA: Some years ago, my younger sister Julie gave me a tiny snail made of pewter, and this brave little character sits among a motley collection of treasures on my office windowsill. SA: Without question, the births of my two boys. SA: Cutting my wrist on a broken pudding basin while making Christmas dinner – with my arm out of use and unable to write, I contacted a friend at the BBC who gave me a tape recorder and sent me off to do some radio reporting. I have never looked back, and broadcasting remains one of my great loves. It has taken me to some extraordinary parts of the world. SA: Scores of fresh graves among the banana palms in homesteads around Lake Victoria at the height of the AIDS pandemic, and in particular one home in which a grandmother was struggling alone to raise 25 grandkids orphaned by the death of her sons and daughters from AIDS. SA: I would love to be able to dance and sing – I am hopeless at both! SA: Sitting by a campfire under a huge canopy of stars in the African wilderness. SA: Make a cup of coffee and climb back under the duvet to drink it. Wow! Terrific interview. I really *must* get around to reading this book. It has been sitting in my queue forever, but for some reason I've been reluctant to pick it up. But now I am itching to read it! I found it fascinating, Kim, I have to say. Balmy winds, fine wines, kind words. Six Degrees by Mark Lynas. "striped worms with legs in mattress"